Today wireless technology had become more advanced. Even more sophistic streaming options for streaming media from mobile devices to HDTV has developed. So HTC has developed a new product, HTC Media Link HD which makes streaming High Definition content from your mobile to the HDTV very easily than ever. Digital Living Network Alliance or simply DLNA the most popular protocol has been compatible in earlier device which is predecessor to HTC Media Link HD: the DLNA streaming Media Link. But now here in HTC Media Link HD we are able to connect as a peer to peer device. This is considered to be the second iteration of the streaming solution for the HTC`s stream to TV solution. HTC Media Link HD offers mirroring of your device onto your HDTV, computer monitor or any other HD devices. HTC Media Link HD is a credit card sized dongle, which is as small that the dongle can be easily fits inside our palms. The device is only about one third the size of that of a smartphone device. connecting to this dongle is really simple and it does not need any complicated configurations as it is only needed a smooth and fine three-finger gesture to pair it up with HTC One X or HTC One S. Just after the pairing up you will be then accessed to stream your videos, movies or anything others on your television without losing access to your smartphone. HTC Media Link HD features a HTC wall plug plus a small clip which will allow you to attach the Media Link onto the back of your television. The device also features a red or blue LED light which is hidden above the HTC logo, this will help us know whether everything goes as we expected by shining blue colour on that LED. HTC Media Link HD is a small box shaped dongle of black colour measuring a dimension of 84X52X12.2mm. Even Though the device is smaller than a credit hard, it is much thicker than HTC One X. HTC Media Link HD comes with a black colour glossy top and the bottom is dark grey and a grainy constructed one. The back side of this device is a plastic constructed one with a small finger tip sized dimple in the middle, which is probably for the easier to get grip while holding with your thumb. One end of HTC Media Link HD, it provides one single reset button and on the other end there are two ports which are mainly a HDMI port to connect Media Link with HDTV and a micro USB charging port. On the bottom there is an HTC logo and a FCC info textured. HTC had brought a very simple setup process which is being limited to very few steps to make the Media Link as portable as possible. Once you set up HTC Media Link HD to your system, then the next part is the best part that the Media Link features, it does not bring any complicity in pairing up devices. You only have to make a three finger gesture by swiping over your phone with your three fingers and that is all, the devices will start their pairing process automatically. There are two modes of pairing the devices; either you can connect both the device onto the same WiFi network or you are allowed to establish your own peer-to-peer network. On the first setup, it usually will take few minutes to start pairing up, gradually it will take only few seconds after the first pair up. When the pairing is over you will get to know that, as the screen of your Android device will automatically turns to landscape mode, showing the sign that it is being paired up. You will be greeted with a nice message on the TV which tells you to slide your fingers on your device as soon as the Media Link connects your device. You can disconnect from Media Link any time you want by just sliding down your three fingers as it is the gesture used to give message to disconnect from HTC Media Link HD. There are plenty of multimedia formats supported by HTC Media Link HD. But at the moment JPEGs are the only image formats available to support for Media Link. It is expected to be updated in near future with addition of OGG and FLAC formats to the list. When we look deep into the performance of HTC Media Link HD we can find that it ensures the high quality videos or audio to be transferred and run smoothly on your HDTV without any loss in the quality. But this process of keeping constant quality does not ensured to be giving the same for converted videos. In such cases video may run smoothly while audio gets lagged or interrupted in between. This cases are being experienced only while viewing converted videos from ripped DVDs. HTC Media Link HD supports all the major mobile video formats as well as the audio formats. All the video resolutions mentioned above will give you maximum resolution of 1920X1080 with 30 frame per second. This itself explains that how Media Link supports HD transfer between a small and a large display screen. HTC Media Link HD has improved a lot in both features and the performance compared to its predecessor. This is a pretty awesome device which has larger in performance than its size. This small device is easy to carry and the complicity in peering up your device has been reduced by HTC. The two methods for connecting your device to your HDTV also had brought simplicity to this device. 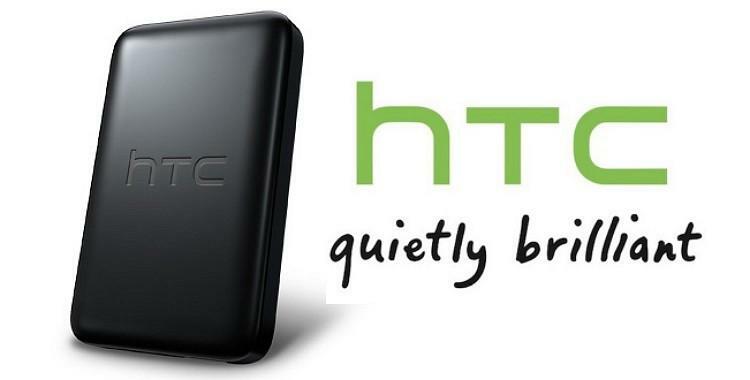 HTC Media Link HD has got an admirable price of $90 which is much worthy compared to its smooth performance. Nice in depth article. When its going to to hit the market in India & UAE ?